Wayward by Blake Crouch: Synopsis and Online Purchase Options. 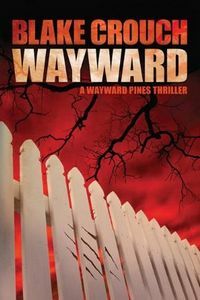 Synopsis (from the publisher): Welcome to Wayward Pines, population 461. Nestled amidst picture-perfect mountains, the idyllic town is a modern-day Eden … except for the electrified fence and razor wire, snipers scoping everything 24/7, and the relentless surveillance tracking each word and gesture. Ethan Burke has seen the world beyond. He's sheriff, and one of the few who knows the truth — Wayward Pines isn't just a town. And what lies on the other side of the fence is a nightmare beyond anyone's imagining.